Here we go again. After the often-recycled rumor of a merger between Sprint Corp (NYSE:S) and T-Mobile Us Inc (NASDAQ:TMUS) appeared to have died for good in November, owners of Sprint stock were reminded to never say never. Nothing’s really changed for either company in the meantime, except for perhaps major Sprint stockholder Masayoshi Son, SoftBank CEO, recognizing the situation for Sprint is increasingly grave. That realization may well be enough for him to realize that his company isn’t going to be calling the shots should these two frenemies consummate the marriage. It’s a tired refrain, truth be told. The possible pairing discussed late last year wasn’t the first time, or even the second or third time, the idea’s been brought up. But there is something different about this particular instance, even if it’s difficult to pinpoint. Part of the renewed motivation may be not-so-obscured in the most recent quarterly report from Sprint. Sales were down about 4% year-over-year, and stripping out the benefit of Trump’s tax plan, the company earned three cents per share versus expectations for a loss of four cents per share. Though the bottom line was better than expected, a profit of three cents per share isn’t exactly healthy for a $6 stock. Perhaps more alarming is the still-huge amount of debt on its books. Though it has pared it back some over the course of the past year, there’s still $32.8 billion worth of long-term debt weighing the company’s performance down. For the quarter in question, it paid $581 million in interest expenses. Worse, $1.8 billion of that debt is coming due later this year, and another $1.7 billion is coming due in the middle of next year. Sprint has the cash to pay it off, but if it spends that cash, it won’t be able to invest in its infrastructure the way it needs to in order to remain competitive. Some sort of deal with T-Mobile — or more specifically, its majority owner Deutsche Telekom AG (ADR) (OTCMKTS:DTEGY) — is increasingly looking like the smartest route out of trouble. And yet, a merger wouldn’t exactly be a bad deal for T-Mobile. Chief among the benefits, of course, would be a greater scale that poses a real threat to AT&T Inc. (NYSE:T) and Verizon Communications Inc. (NYSE:VZ), which currently, collectively control more than two-thirds of the U.S. wireless market. Greater scale could translate into cost savings for a T-Mobile/Sprint combo, meaning it could spend more on things that help it profitably garner market share. There’s also the not-so-small matter of Sprint’s treasure trove of FCC-licensed spectrum. Wireless phones are certainly sophisticated, but when all is said and done, they’re mostly just powerful radio transmitters and receivers. Since only one frequency can be used at a time in a specific area (to prevent interference), all radio frequencies are managed by the Federal Communications Commission. It divvies up licensed use of various frequencies primarily on an auction basis. And Sprint’s got a lot of this so-called spectrum — more than any other player. It’s also got a huge stash of it in the high-band portion of usable radio frequencies, where 5G connectivity can thrive thanks to newer technologies. Combining both Sprint’s and T-Mobile’s radio frequency licenses would give it more than half of the nation’s available spectrum. Both organizations have already been working on different ways of getting the most out of what they own. If they could share technologies, it’s conceivable they could together pose a performance threat to AT&T and Verizon. The possibility is a much-needed glimmer of hope for Sprint stock holders who may quietly be looking for a semi-graceful exit of a disappointing trade. 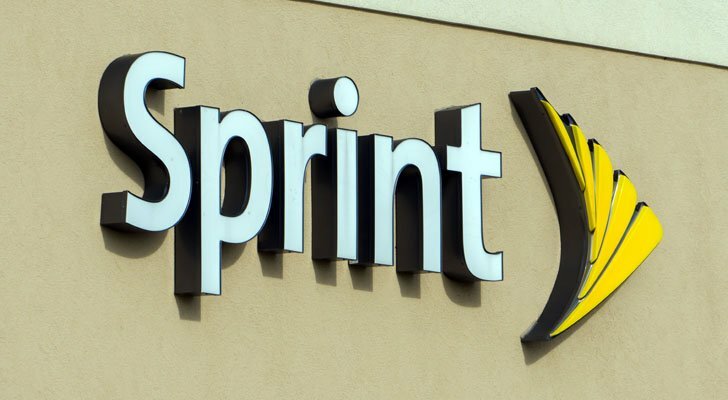 But the question remains: Will a Sprint T-Mobile merger actually materialize? This is a tale we’ve heard too many times before to blindly bet the farm on it now. The funny thing about recycled rumors is, the more recycled they become, often the more truth there is to them. That doesn’t necessarily make Sprint stock a savvy bet now. Without knowing the terms of any potential deal (shares, cash, or both? ), it’s possible any merger bullishness has already been fully realized. But if you already own Sprint stock, it certainly couldn’t hurt to stick with an existing trade and see if the pot ends up getting sweetened. The deal would certainly have more upside than downside. Article printed from InvestorPlace Media, https://investorplace.com/2018/04/rumors-of-sprint-t-mobile-merger-are-heating-up-again/.